Can you lose weight and still eat carbs? When trying to slim down, many people cut out carbs. But according to top nutritionists, this is a huge misconception, and could even be hampering your weight-loss aims in the long term. While this is great news for people who love their carbs (most of us! ), it’s not necessarily the go-ahead to tuck into extra portions of pasta carbonara. Which carbs you choose make all the difference to your weight loss success. First, remember that not all carbs are unhealthy sugar: the sugar in a potato is not the same as that of a chocolate bar. The right carbohydrates are incredibly good for you and should be eaten freely on any weight-loss plan. Up your intake of unrefined carbs such as wholegrain bread, pasta, rice, beans and vegetables. These will help stabilise your blood sugars which aids weight loss. CAN CARBS ACTUALLY HELP ME LOSE WEIGHT? Yes. 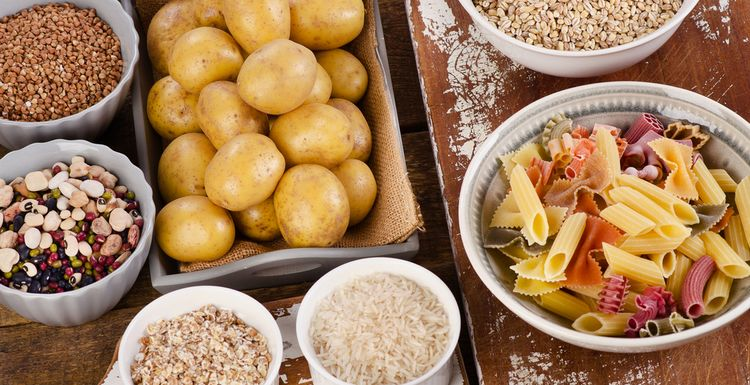 Despite the fear that’s built up around eating carbohydrates, lots of studies show that the resistant starch found in carbs help you eat less, burn more calories, lower your stress levels and boost your energy. Basing your meals on starchy, fibre-rich carbs fills you up quicker, keeps you satisfied for longer, and fewer calories eaten overall. You also get loads of nutrients that are essential for your health. What’s more, the soluble fibre from complex carbs feeds the bacteria in our gut, which studies suggest can aid weight loss. WHY SHOULD I DITCH THE LOW-CARB DIET? While many people feel good cutting carbs, research shows that low-carb diets are difficult to follow. Limiting an entire food group is likely to make you feel deprived in the long-term, and even develop unhealthy food obsessions. Low-carb diets also tempt you to eat food high in fats and sugar such as cheese and sugar. Although high-fat food can be very healthy, too much can make weight loss harder. Finally (and quite importantly), a life without carbs is no fun. You can have mood swings and struggle to concentrate without the serotonin that carbs release. Sounds like a recipe for comfort eating – not great for weight-loss! Definitely agree with life without carbs is no fun. I started to feel miserable after just a few days doing low-carb, because I didn't have any treat to look forward to. So I started to eat 90% dark chocolate and that's helped me stick to it. Personally I feel better since I've been eating low-carb. But it's not strict and I still really enjoy wholemeal bread and pasta, just don't have so much. I also make my own wholemeal spelt bread. Moderation is the key.